We know home efficiency: we’re the first local contractor to utilize the whole house approach to comfort and energy efficiency in the Citrus Heights area! From Madison to Greenback, we provide the best home energy solutions and most affordable options for new windows, heating, solar, and air conditioner systems. Is Your Home a Money-Waster? At California Energy Services, we’re home energy experts who understand the unique heating, cooling and energy needs of your home or business. 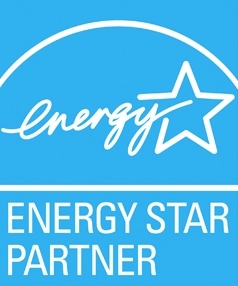 We use state-of-the-art energy audits to uncover the most pressing issues in your home’s efficiency, and generate a report that makes suggestion for upgrades that would benefit you the most. We’re also proud to offer a variety of rebates and incentives to help make your upgrades even more affordable. Windows are another important part of your home, not only for providing sunlight and visual appeal, but also for energy efficiency. At CES, every window and door we sell is custom made for your home or business, with affordable and durable materials. For customers interested in learning more about renewable energy options, we can also provide you with a detailed solar analysis to demonstrate how your property would benefit from solar energy. As the summer in Citrus Heights continues, most homeowners have cranked their air conditioners into high gear. Without regular maintenance, you’re likely to experience the infamous and expensive “Midsummer AC Breakdown.” Whether you have time to wait for a service or you need an emergency AC repair, our local NATE Certified heating and AC technicians can repair your HVAC system and provide free estimates on installs and maintenance plans to keep you cool. Making sure your home is comfortable, healthy, and energy efficient year-round is our top priority. Our heating system replacements, hot water heater upgrades, and 24-hour repair services are here to keep you warm during the winter. Interested? Get started with CES today! "Very pleased with the customer service provided by Will and Roger." Very convenient and accommodating to our schedule, Roger and his team did a nice job to be timely and thorough. Also, pretty painless process and all appears to be working well. Already have recommended to a couple people. Thanks!